The highest tower in Asia and the third highest tower in the world scans the cluster of modern buildings in Lujiazui on the bank of Huangpu River as well as the myriad classic foreign buildings on the Bund. 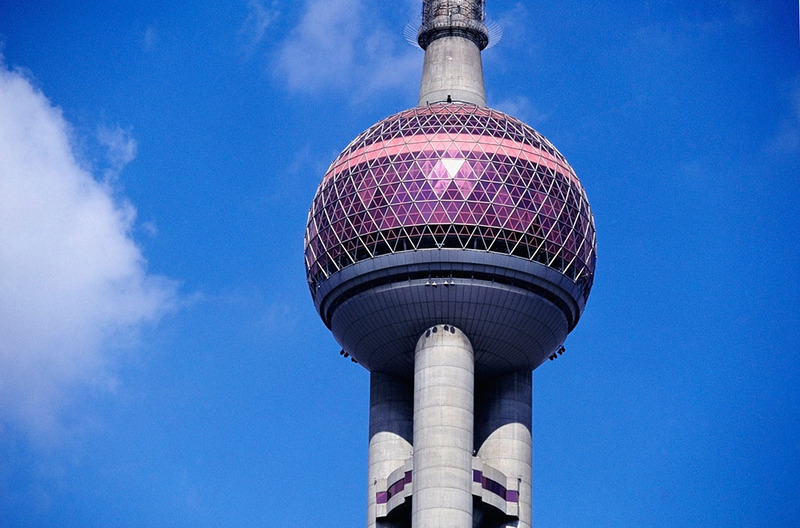 The 468-meter high tower contains the base, 3 massive poles, the lower sphere, the middle sphere, the upper sphere and space capsule. Rocket up to the mid-level bubble for the eye-opening nightly views of the city in all its expanse and splendor.